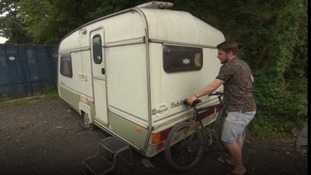 Some people in Bristol are being forced to live in vans and caravans off the city's motorways due to the rise in house prices. The popularity of the Cornish coast has sent property prices spiralling, making young people think outside the box with their accommodation. The Burns family say they were forced to live in hotel rooms for three years because Bristol City Council refused to house them. Private tenancy evictions are the biggest cause for homelessness in the West Country, according to Shelter. High house prices and low wages if forcing young people out of Exmoor according to Exmoor Young Voices youth group.